It is with most sincere sympathy that we formally announce the passing of, Deacon Joseph (Joe) Davenport of Cairo, Georgia. Deacon Davenport passed on Sunday, June 10, 2018 at Archbold Medical Center, Thomasville, Ga.
A long beautiful and useful life came to a close on Sunday evening, June 10, 2018 when Joseph Nathan Davenport was called into the silent halls of death. Joseph was born on June 24, 1941 in Troy (Pike County), Alabama to the late Jimmy L. Davenport and Ruthie L. Ligon Davenport. He received his early education at Elam School in Troy, Alabama. He was a great basketball player at Elam School. At an early age he confessed his belief in Jesus Christ and was baptized at Holly Springs Missionary Baptist in Springhill, Alabama. He was an active member until his parents moved to Grady County. In 1960, Joseph united with the Wilson Chapel Missionary Baptist Church in Cairo, Georgia, under the leadership of Rev. Wallace Bass. He was an active member and served in various ministries. 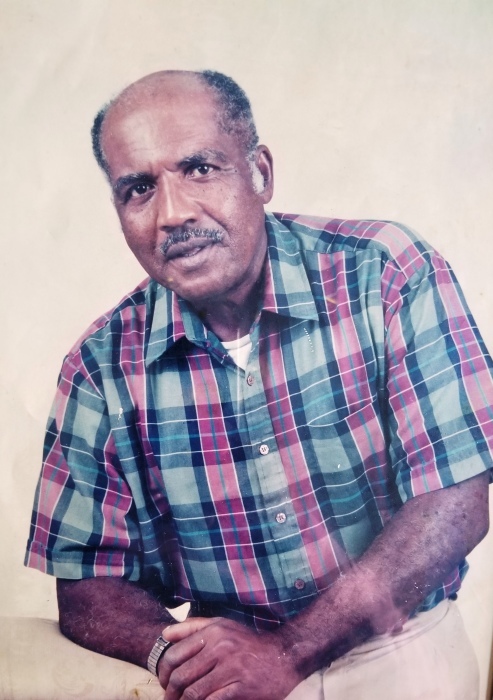 He served as a deacon and was chairman of the Deacons Board, member of the Choir and also served as President of the choir, taught Sunday school and Bible Study. He was also active in the New Grady Association and the New Gray Union, served as a Trustee of the New Grady Association and served as Chairman of the Trustee Board. Joe’s first wife Matlean Robinson Davenport preceded him in death. Added to that union were four sons and one daughter. On August 20, 2005, Joseph was united in marriage to Stephaine Thomas. Added to this union were two sons. The love in this marriage helped sustained them through the years with joy, laughter, friendship, difficulties by the “Grace” of God. Joe was a loving husband, father, brother and friend to many. He was employed by the Grady County Board of Education. He enjoyed being a bus driver and loved and enjoyed the children that rode his bus. He was a driver through the pass 2017-2018 school year. He worked as a attendant at Willford’s Funeral Home, Cairo, Georgia for many years. He also enjoyed working for Tyson Float and Teasly Float Company in Cairo, Georgia for more than 25 years. They decorated floats all over the United States for parades. Beulah May Gaines, Indianapolis, In. ; Father-N-law, James (Geraldine) Thomas, Cairo Georgia; Brother-n-laws, Calvin (Lois) Harrison, Boston Georgia, Lamark (Daphane) Thomas, Eric Thomas Cairo Georgia, Gary (Felicia) Thomas Thomasville Georgia and Rev. E. Matthew (Brenda) Faulk, Calvary, Georgia. Sister-n-law, Aldrena Thomas (Maurice)Adams, Cairo Georgia; Daughter-n-law, Charline Davenport, Thomasville, Georgia; Twenty Grands and host of Great Grands; A special cousin, Mott Geter, Troy Alabama; A special Mother, Mandy Girtman, Cairo Georgia; and a host of nieces, nephews, cousins and friends.